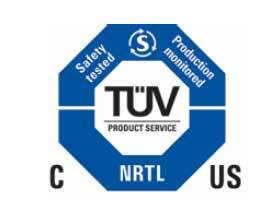 TÜVs (German pronunciation: (short for Technischer Überwachungs-Verein, Technical Inspection Association in English) are German organizations that work to validate the safety of products of all kinds to protect humans and the environment against hazards. As independent consultants, they examine plants, motor vehicles, energy installations, devices and products (e.g consumer goods) which require monitoring. The many subsidiaries of the TÜVs can also act as project developers for energy and traffic concepts, as problem solvers in environmental protection, and as certification bodies. 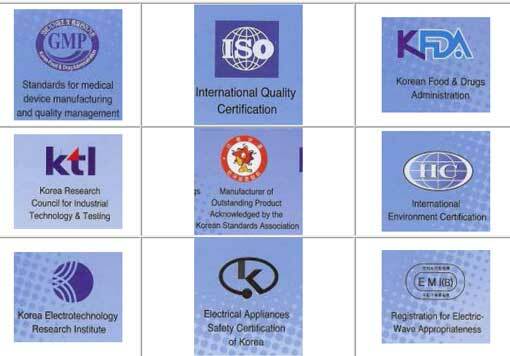 Many of the TÜV organizations also provide certification for various international standards, such as ISO9001:2008 (quality management system) and ISO/TS16949 (automotive quality management system). KACST mean "Korea Academy of Commodity Science & Technology", KYK machine was awarded as best products in Korea. INNOBIA mean "Innovation & Business", This cert. would be given to the small and medium company that achieved the technical innovation and has an achivement of a global competitiveness with high technology. The small and medium company that want to get this cert. should take the technical inspection by OSLO manual that was developed by OECD. Purpose for selecting and awarding GD products is - to contribute to export and national economy through encouraging design development, helping develop good design products, and boosting competitiveness of Korean products -to meet the demands of the public and to improve the quality of life through taking product design to a higher level -to further develop industrial design through raising public awareness and interest in industrial design.